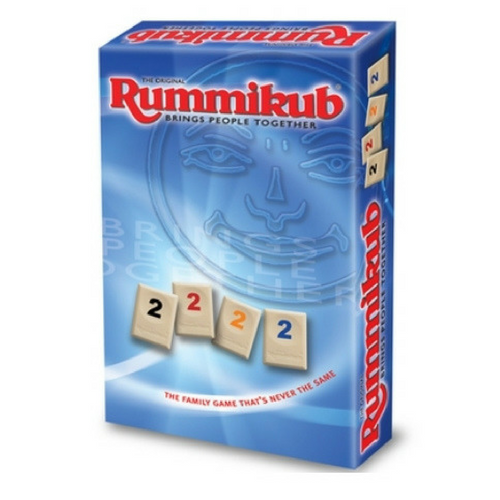 Rummikub is the family game that’s never the same.Convenient travel size that’s handy for vacations or a bulging games cupboard. The fast-paced game of tile manipulation that challenges each player’s wit against the other. The family game that’s never the same, players must put get rid of their tiles by putting together number combinations. This edition is the perfect size for travel.